Hello, Megan needed some guest bloggers on her blog as she was going away for her 21st and I volunteered as she would do the same for me and its something new. Be sure to check out my blog here on http://blushingbeauty9.wordpress.com/ were you will find my Twitter, Pinterest and Bloglovin. My nan gave me this lipstick after she ordered the wrong shade which I thought I wouldn't even use knowing me, but I finally gave it a go. 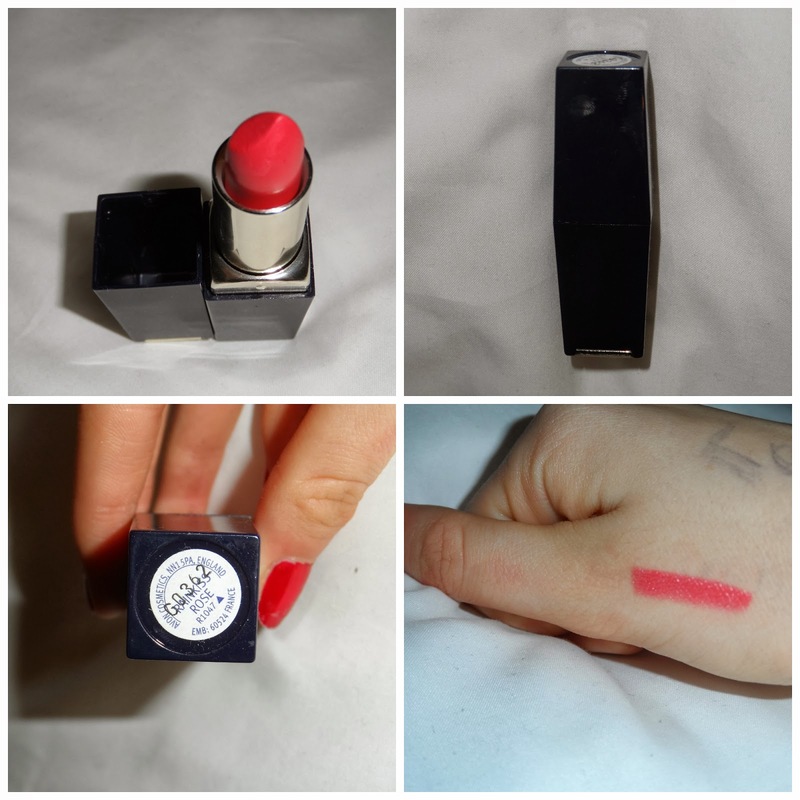 I have used Avon lipsticks before and I quite like the consistency and the way it looks, the colour was also very bright but coral as well as it fits in with spring. On my lips it applied very well, not to drying but not sticky either like a gloss. On my lips I really liked the colour because it wasn't exactly neon or anything but it was bright enough to stand out. I personally don't love bright colours so I attempted to tone it down a little bit with a clear lip gloss which looked great too. Overall during the winter I don't think this will be using this a lot but in the spring it will be a great coral colour to wear with a jumper and jeans. Its not drying like I thought it would be, so I do love this lipstick and would give it a 6/10. I love Avon lipsticks. They are amazing quality and great value for money.